In 1969 he graduated from KazSU with a degree in Mathematics. In 1985 he defended his thesis, and in 2002 his doctoral dissertation. The results of many years of creative activity of S. Tutanov are reflected in more than 200 scientific works, incl. 4 monographs, 5 textbooks, 9 copyright certificates and patents. 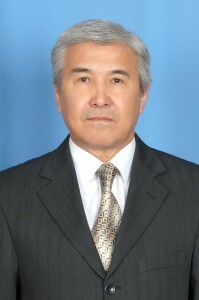 S. Tutanov – an excellent student of higher education of the Republic of Kazakhstan (1996), honored worker of KSTU (2003), winner of the “Best University Teacher” grant in 2010, has a breastplate named after I. Altynsarin (2009).